A Christmas Carol is more than a timeless Christmas story. Its author hoped that its lessons would be remembered all through the year. 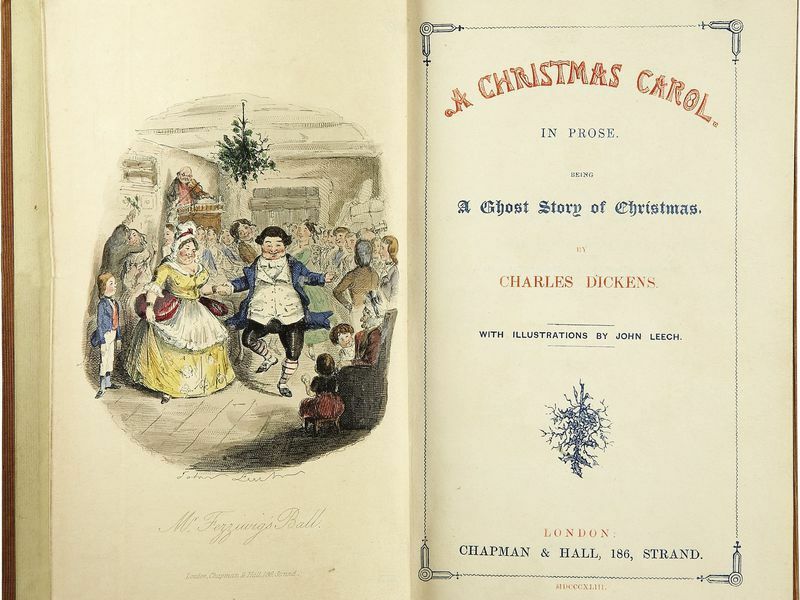 A Christmas Carol was published in 1843. It ensured that Charles Dickens’ name would forever be linked with Christmas. In some ways, it’s a very Victorian story of urban circumstances. The extremes include wealth and poverty. They include industry and inability. But it also helped change Victorian society. That's according to historian Catherine Golden for the National Postal Museum blog. And that’s why Dickens wrote it. It boosted people’s awareness of the plight of the poor in Victorian England. But Dickens also had a more immediate need. He needed cash. He’d spent too much on his 1842 American tour, Golden writes. He needed to support his large family. “Thinking creatively, he wrote himself out of his dilemma,” she reports. The already well-known writer’s solution worked, to a degree. He sold out the first print run in a week. That was 6,000 copies. By the end of the next year the book had sold more than 15,000 copies. That's according to Brandon Ambrosino writing for Vox. The book had lavish bindings and a relatively low price. That's according to Michael Varese writing for The Guardian. So much of that money didn’t make it back to the author. He was hoping to make at least $1000 from the book. “What a wonderful thing it is that such a great success should occasion me such intolerable anxiety and disappointment!” he wrote. The book did have the cultural impact Dickens was hoping for, though. The writer came from a poor family. He is remembered as a friend to the poor throughout his life. In the fall of that year the author had visited a Samuel Starey’s Field Land Ragged School, writes Ambrosino. The school taught poor children. “Dickens easily empathized with such children living in poverty, coming, as he did, from a poor childhood himself. This is a fact that set him apart from many other English authors,” writes Ambrosino. “Even if economics motivated Dickens to write A Christmas Carol, his story stimulated charity,” writes Golden. Characters like Bob Cratchitt’s family paint a vivid picture. Scrooge’s lost love and of course Scrooge himself also paint a vivid picture. They depict a time and place where need was everywhere. This was especially true in London. In the end, Scrooge becomes a sympathetic character. He believed that prisons and workhouses were enough social aid for those in poverty. This was a common enough belief in Victorian times. It is overwhelmed only when he realizes that the city needs something more. It needs empathy, in the form of charity. Dickens may not have gotten rich off of the publication of A Christmas Carol, but he did make the world a little richer. 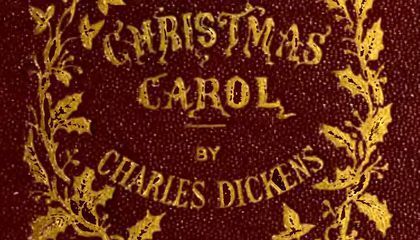 What makes "A Christmas Carol" timeless? Because of the movie "A Christmas Carol," Charles Dickens thought it would stick with him all through the year. He made sure that his name would link with Christmas every year. I agree the lesson is still needed to be taught,because there are many people who need to learn a little from this. I have loved the story of A Christmas Carol for some time now and I really appreciate the enlightenment this article gives the reader. This is a very intriguing story. I never realized that Dickens was writing off of an example: his life when he was younger.That fact gives a whole new light to the book and Dickens. this gave me a better understanding of how Charles dickens got the inspiration to write one of my all time favorite books! The Christmas Carol is a very good story, about someone who hates Christmas and just doesn't have the spirit. When the character gets to see the past, present, and future the character gets to see Christmas in a whole different perspective. This is one of my favorite stories for Christmas. I have read the book, "A Christmas Carol" many times and I have enjoyed it every time. I also like reading the different versions, even the movie versions. I think it was unique of Charles to want his name linked with Christmas.